Whether it’s London or Manchester your require our services Lavastar carry out building hoarding design across the country. 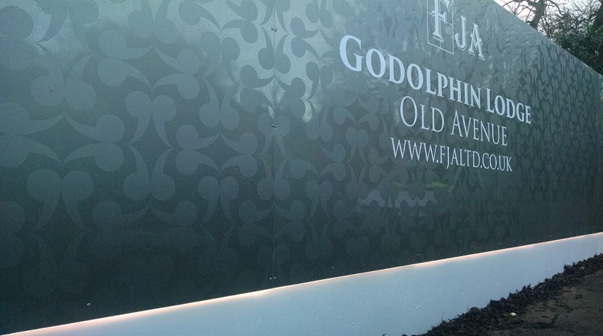 Our specialist print machines combined with years of marketing and design experience make us one of the leading signage agencies for hoardings out there. So what can we do that others can’t I hear you ask? Well lets start with the process…hoardings start right back at when a site requires a protective fence. Its then once the site hoarding has been erected the developer will go out hunting for a design agency to produce graphics to cover the site fence. Here comes the problem, the site owner doesn’t know a design agency who can produce both the design and signage in house. Then comes another problem, who’s going to install it? Lavastar will not only produce the building hoarding design but will also, erect the site hoarding, carry out design, produce the signage and then install by cladding the finished sheets to the site fence. How easy has your life now just become!